Just as bathing can be one of the best pleasures in life, we know that showering is just as pleasurable. As experts in bathroom showers, we understand that not unlike bathing, the experience improves when you have many products to choose from. It even gets better when you discover good prices. 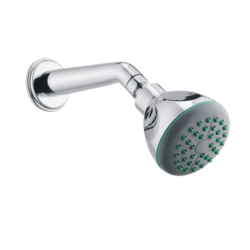 We are one of the most reliable companies in this domain and are into offering Rain Bathroom Shower. - Products engineered for the crisp efficiency and stunning good looks that are a must in today's day and time. Neoperl is the World Largest Manufacturer of Water Saving Aerators. The Product is manufactured in GERMANY and its of the best quality. Neoperl supply Aerators to the all top brands in the world. To meet the various requirements of the customers, we are involved in offering a wide assortment of Modern Bathroom Shower.